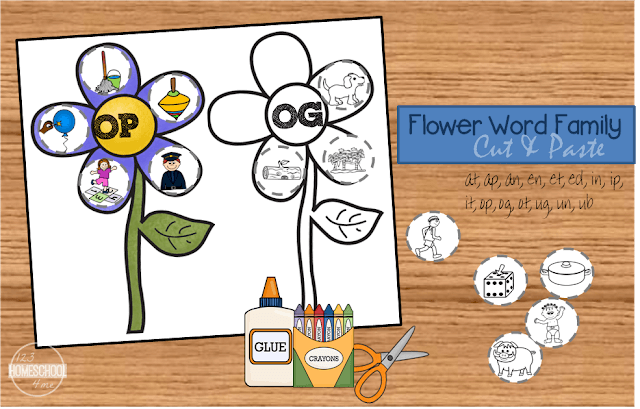 Kids will have fun practicing word families with these fun, cut and paste word family worksheets. These will be great for preschool, kindergarten, 1st grade, and 2nd grade kids to practice phonics with at, ap, an, en, et, ed, in ip, it, op, og, ot, ug, un, ub words. 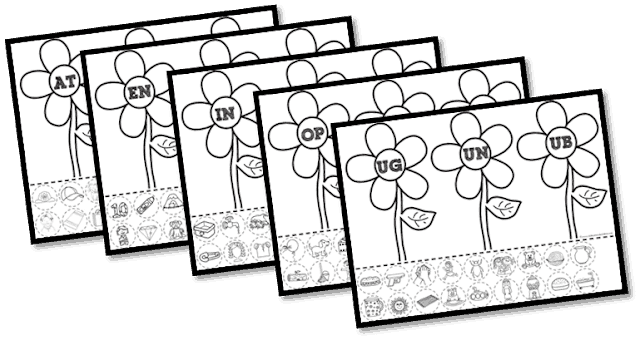 There are 5 free printable worksheets in black and white. Each one covers three word families of the short vowel represented on the sheet. 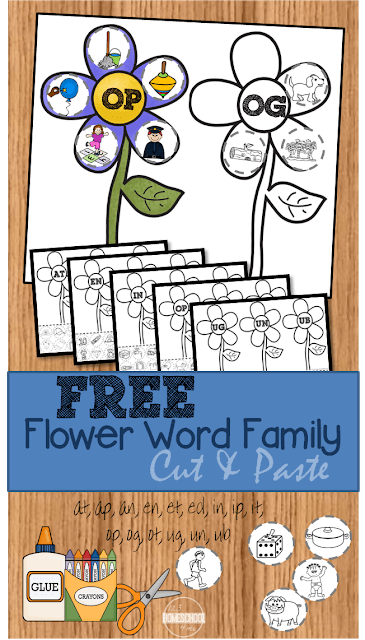 Just cut, paste, and sort the pictures correctly on the word family flowers. This activity is perfect for Preschool, Kindergarten, 1st grade, and 2nd grade kids.